Explore the Greater Outdoors on Horseback! As a full service horse facility in the Blue Ridge Mountains, A Step above Stables provides you with a trail riding experience like no other. Their services include instruction in riding techniques, boarding, trail riding, breeding, showing, and sales. Located on over 250 acres of gorgeous land just outside of Blairsville, Trackrock Stables offers a horseback riding adventure you will long remember. Services include guided trail rides on well trained horses suited for for all experience levels, lessons, birthday parties, short term and long term boarding, and horse sales. There is also a Horse Camp for kids that provides a complete hands-on experience with horses and riding. 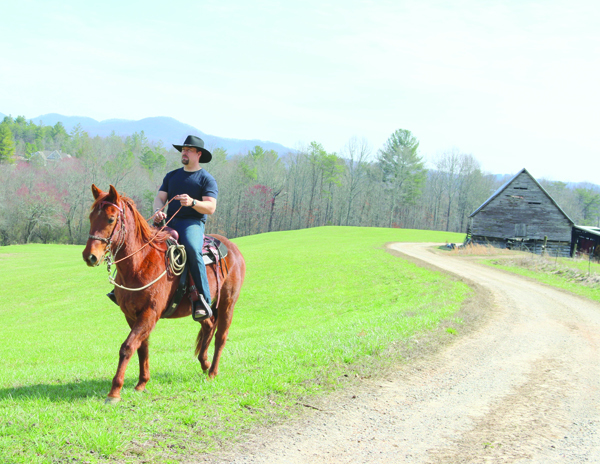 Brasstown Valley is the only full-service resort and conference hotel in the North Georgia Mountains offering guests a horseback trail-riding experience. The resort boasts five miles of trails and offers guided mountain trail rides, custom excursions, hayrides and catered picnic rides available for both individual and group outings. The Union County Saddle Club's state-of-the-art facility includes a well lit covered show arena, an outdoor practice area with obstacles, concession stand, and club house. Events include open horse shows, barrel racing events, team roping, ranch sorting, special invitational shows for the handicapped, rodeos, clinics and exhibitions, and more.